There are plenty of buzzwords out there, especially in the wellness and productivity industries, but there are some creations that are worth the hype and are going to be a standard for years to come. Bulletproof Coffee is one of them. 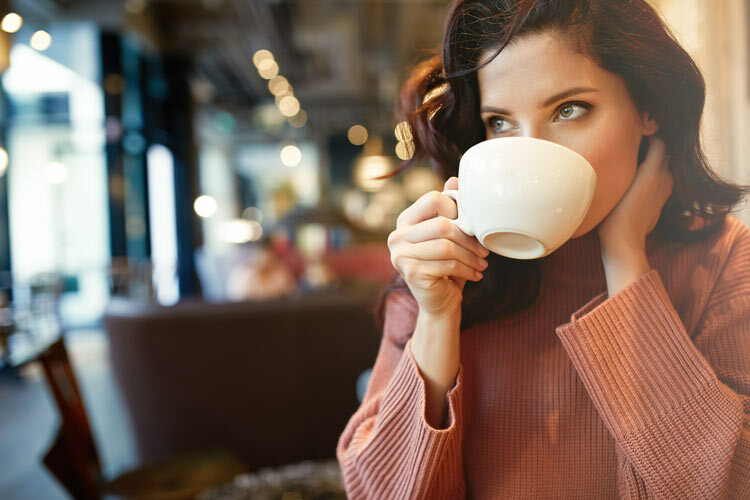 And, before you roll your eyes and reach for another sip of your current coffee (that makes you jittery, has you crashing in the middle of the afternoon, and saps you of your energy before you have tackled your to-do list), you need to understand that Bulletproof Coffee is not your average cappuccino. Read on to learn more about Bulletproof Coffee and how you can use it to achieve peak performance. First and foremost, it is essential that you are introduced to the story behind Bulletproof Coffee, including how and why it came to be created. It all began with the biohacker and successful Silicon Valley entrepreneur Dave Asprey. In 2004, he was on a trek in Tibet (at 18,000 feet above sea level, no less) when he recognized that he was losing energy — fast. Needing sleep, he went into a traditional Tibetan guest house and was presented with a mug of yak butter tea. At this moment he began to learn that yak butter tea is a major staple for people living in rugged, high altitudes. Dave instantly started to feel the benefits of this local concoction and used the strength he gained from the yak butter tea to complete his trek. Over the next five years, Dave researched endlessly to refine this basic Tibetan yak butter tea recipe and finally introduced it to the world in 2009 as Bulletproof Coffee. In other words. Bulletproof Coffee is a high-performance drink that has an extensive influence on your energy, power and cognitive function. If you feel like you are always lacking energy and aren’t able to have the ability or mental clarity to get what you need to do done, to move your life forward, then Bulletproof Coffee will be a highly impactful addition to your lifestyle. Freshly ground organic coffee beans. I highly recommend this brand since it is tasty, high in antioxidants and tested to be extremely low in mycotoxins. 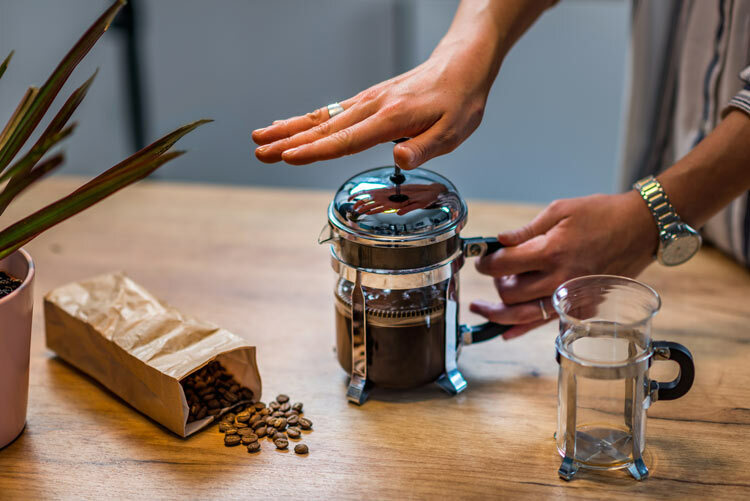 First, you brew (preferably in a glass French Press) one cup of eight to twelve ounces of your chosen organic coffee beans and two and a half tablespoons of freshly ground Bulletproof Coffee Beans. Next, add one to two teaspoons of Brain Octane Oil. Bulletproof brain octane oil’s central ingredient is MCT (medium chain triglycerides), which ensures it is a pure MCT oil. This oil was created specifically to ensure that your brain is adequately fed and is not being harmed by any gaps in your nutrition. This oil not only aids in protecting your brain from degenerative diseases, but it also manages blood sugar, lowers high cholesterol, lessens symptoms connected to inflammatory bowel disease or IBS, Crohn’s Disease and ulcerative colitis, offers proven cancer-fighting and tumor-fighting properties, enhances your metabolism, and inhibits muscle loss (1). And, if that weren’t enough, it makes hair and skin feel soft and smooth, decreases signs of aging, reduces skin inflammation, and is a potent antifungal agent. Finally, add one to two tablespoons of grass-fed butter or ghee (just ensure it is unsalted) and put the mixture into a blender for 20 to 30 seconds until you are left with the foamiest looking coffee drink imaginable. Bear in mind, if this seems like too much work (or you are running unusually late one morning), you can also use an instant variant of Bulletproof that merely needs water to be added for the magic powers to start. However, it has to be highlighted that the most significant benefits from Bulletproof Coffee come only when the exact ingredients are used. Never add sugar to your coffee as it severely impacts your blood sugar levels and hinders you from burning fat. Even putting honey or maple syrup, which many consider healthy because they are natural, can prevent you from being the person you want to be. You don’t want to use something other than grass-fed butter as it is a crucial aspect of this type of drink and is also far healthier for you than other butter alternatives. Similarly, not using Brain Octane Oil and instead using a different oil will decrease your body’s capability to foster ketones. These are a selection of fuels that your brain utilizes to increase your metabolic rate and mental clarity — in other words, precisely what Bulletproof Coffee wants to achieve (3). When should you drink Bulletproof Coffee? For the most part, it is suggested that you drink Bulletproof Coffee in the morning as a breakfast replacement meal as it has a significant amount of calories, but also guarantees that you are starting your day filled with many of your essential nutrients and antioxidants such as B vitamins, omega-3 fatty acids, beta-carotene, among others. Bulletproof Coffee is the perfect breakfast because it fills you up, gives you the healthy fats thanks to the grass-fed butter and Brain Octane Oil, but won’t leave you with a jittery insulin spike and crash that inevitably come after consuming fruit, smoothies, cereal, or bread products. The beauty of Bulletproof Coffee is that it is nourishing and exceptionally good for you, but also uncomplicated to make and simple to transport and consume while on the move. That being said, brain octane oil doesn’t just need to be added to your morning beverage; instead, you can incorporate it into your day-to-day in a variety of ways. For example, combine it with your teas, smoothies or salad dressings, or cook with it in place of other oils. As it is utterly flavorless, odorless, and tasteless, adding it to a drink or a meal will only bring you significant health benefits and won’t change the taste of what you are consuming. How can you use it to achieve peak performance? The best way to see if Bulletproof Coffee makes a difference in your day-to-day energy levels is to try it and commit to making it a part of your day for a set period of time. Decide to forgo your usual breakfast and consume Bulletproof Coffee instead every day for a week and observe how you feel (keep in mind that it may take your body some time to readjust to burning fat for vitality instead of sugar and carbohydrates). All you need to do is purchase some Bulletproof Beans, grass-fed, unsalted butter or ghee, and Brain Octane Oil. Then, proceed with your lunch and dinner like you usually do. However, for the best results, combine your morning Bulletproof Coffee with the Bulletproof Diet. By following this diet plan, you are well on your way to losing fat, gaining muscle, and being better equipped to handle each day productively and in peak performance, more than ever before. Are you trying to step up your morning routine? Have you ever tried Bulletproof Coffee? If not, what is stopping you? Let us know your thoughts and questions in the comments below!